Today we took our Operation Christmas Child boxes to the tiny Methodist chapel in Ellerdine to add them to the collection ready to send off. 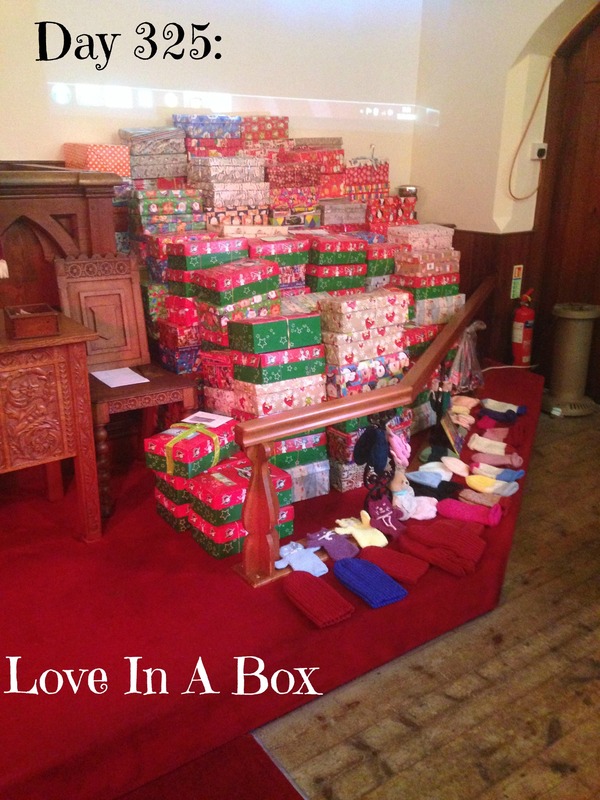 There are almost 200 boxes there from churches in our local area – that’s an awful lot of love in a box going out to some less well off children in Africa. 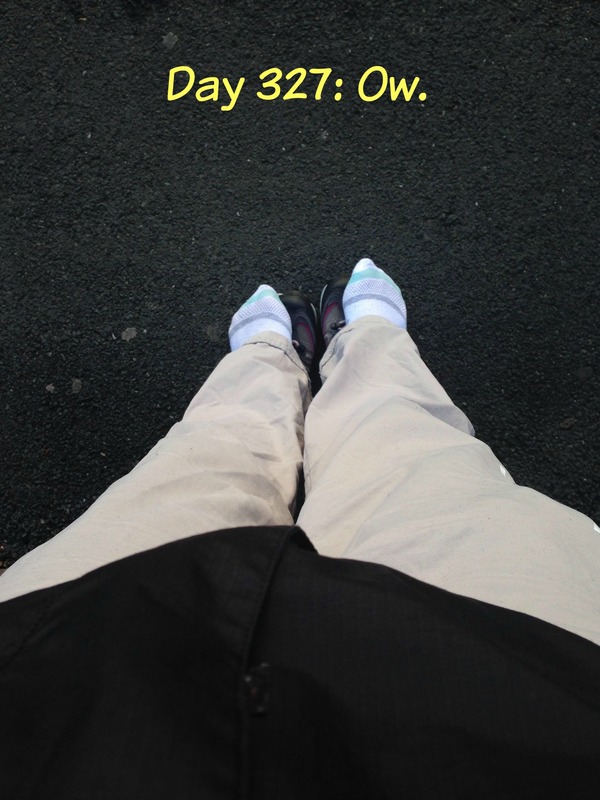 I wore my walking shoes to take Arthur to school this morning (leaving Tori in bed with a raging temperature) and by the time I’d got there they had rubbed my feet so badly I had to call Caius to come rescue me and take me home. Here I am standing on my shoes because I couldn’t bear to wear them any more whilst I waited. A day of sleep yesterday seemed to help Tori burn off whatever it was that she had. She was still off her food today but much brighter and her temperature had gone by the end of the day. 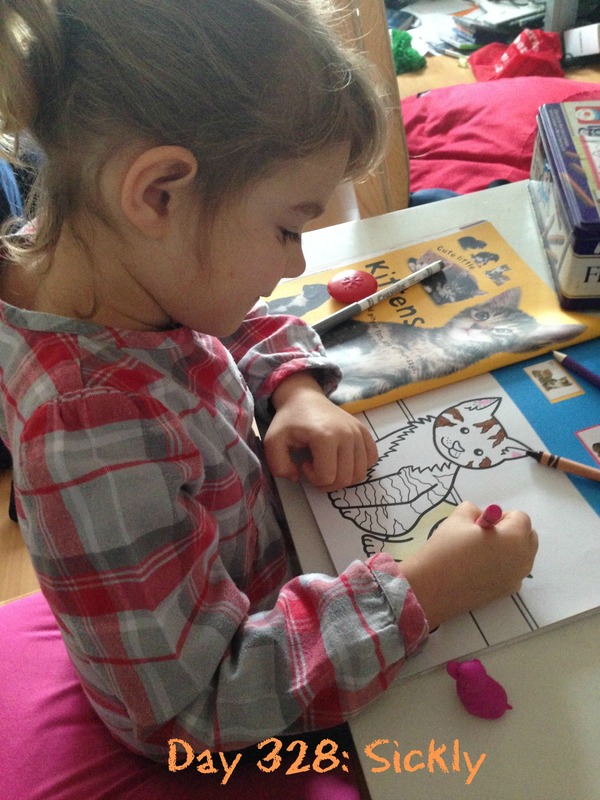 It was nice to have a quiet day with just her whilst Arthur was at school – I don’t get that very often. When I went into Tori’s room this morning, she had put her uniform on all ready for school because she was feeling better and missing her friends. This little man is being an utter nightmare at the moment. 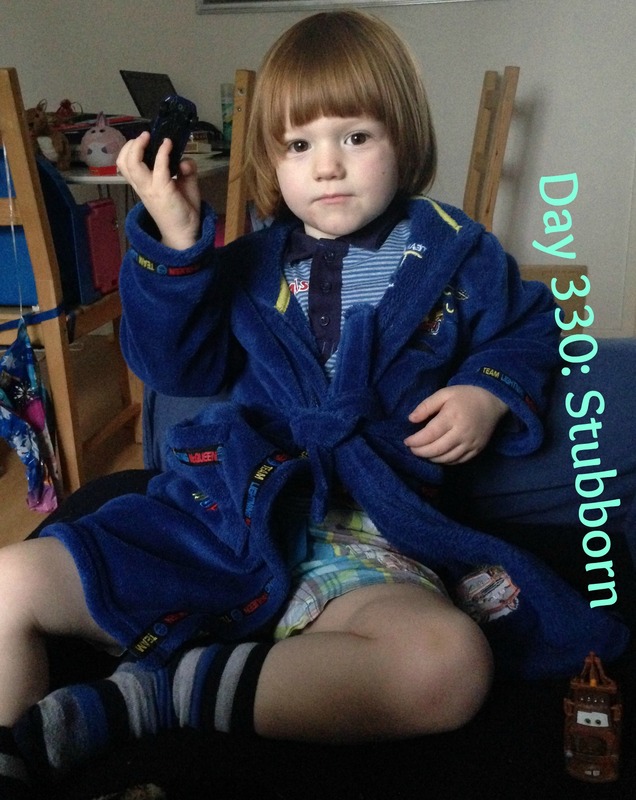 Today he refused to wear anything but shorts and his dressing gown – so that was what he wore to the doctors to get his flu vaccine. Where he ran for the exit as soon as they called his name and screamed his way in to the nurses room… sigh. Today it was the official light switch on in town and the Smalls dance group MDanz performed a couple of times as part of the entertainment. This is taken before Arthur threw a total strop and lobbed his pom-poms in a rage which had everybody chuckling.